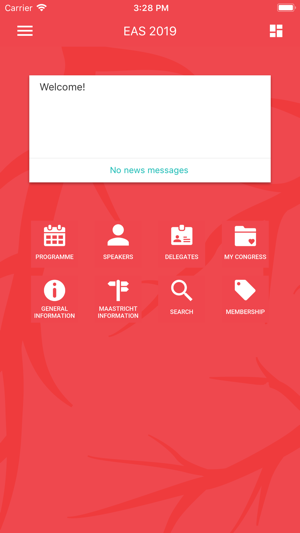 Easy access to the congress programme, speakers, maps and practical information. 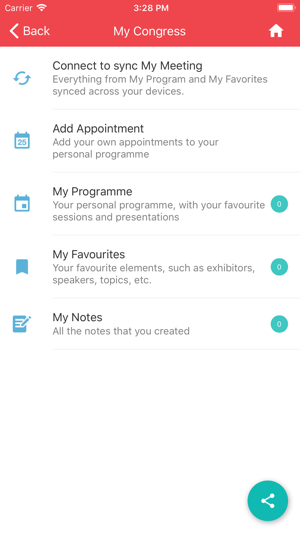 Personalise your programme and take notes right in the app. 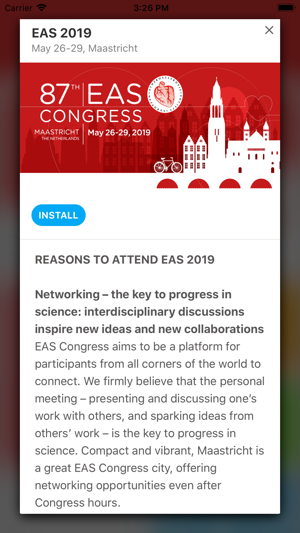 Create your profile and connect with fellow delegates. Allow notifications to receive last minute updates and news. Vote and ask questions during interactive sessions and lectures. The first time you launch the app the latest data will be downloaded to your device. After that, most features will be available offline. When you connect to the internet the data is synced and updated to the latest version. 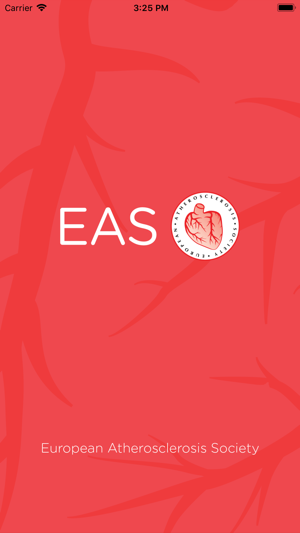 The European Atherosclerosis Society (EAS) was founded in 1964 with the aim of “advancing and exchanging knowledge concerning the causes, natural history, treatment and prevention of atherosclerotic disease”. For more than 50 years the Society’s expertise has been used to teach clinicians how to manage lipid disorders and how to prevent atherosclerosis. 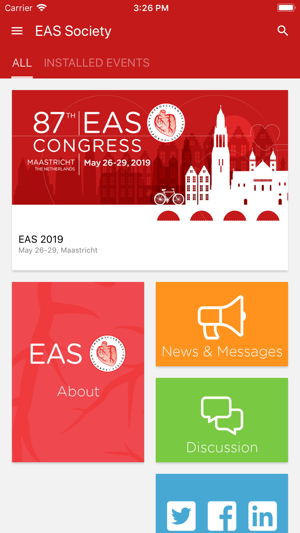 By offering access to educational materials, and opportunities to take part in Congress and courses, and by providing a forum in which new developments can be discussed, EAS contributes to the development of knowledge in the field, and ultimately to the improved treatment of persons with cardiovascular disease and lipid disorders. In recent years the Society has made a particular effort to recruit young scientists and clinicians also from other related disciplines. © European Atherosclerosis Society / Conference Compass B.V.